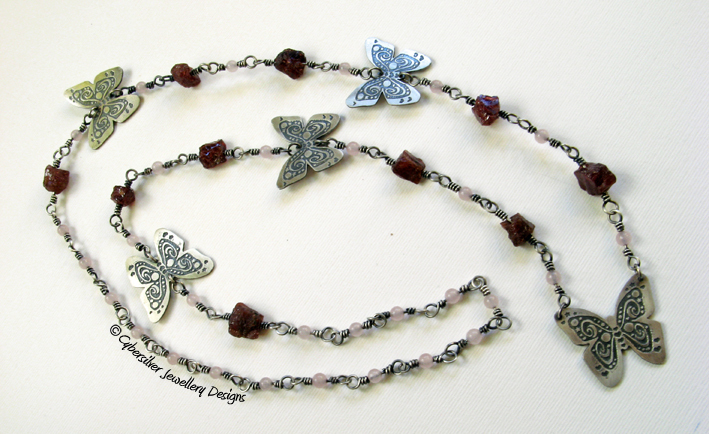 Five sterling silver butterflies set in an entirely hand-made necklace constructed from 280 cm of solid silver wire. 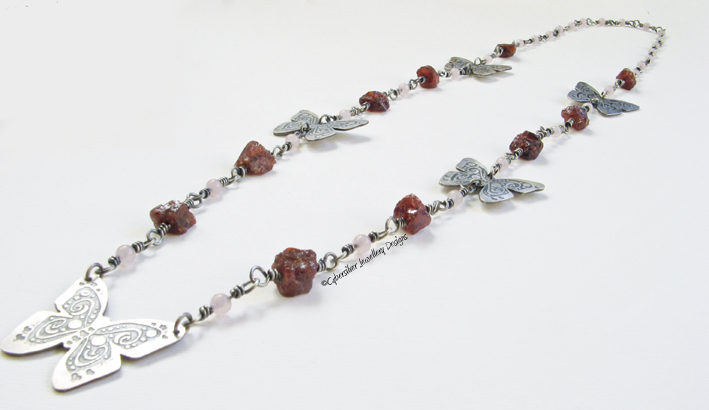 The necklace is set with natural, uncut garnet and round rose quartz gemstone beads. 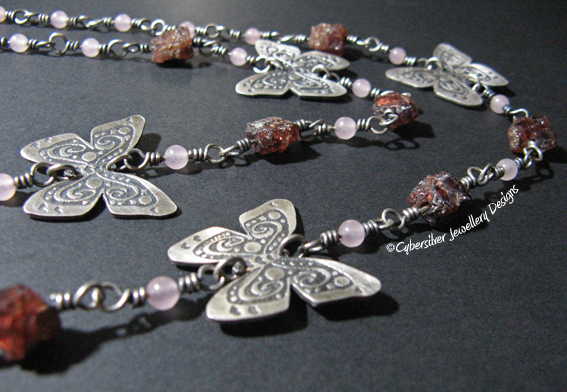 Each butterfly measures approximately 28 mm x 20 mm and is oxidised to highlight the patternation. This is a gorgeously long necklace measuring roughly 31" and simply slips over your head.